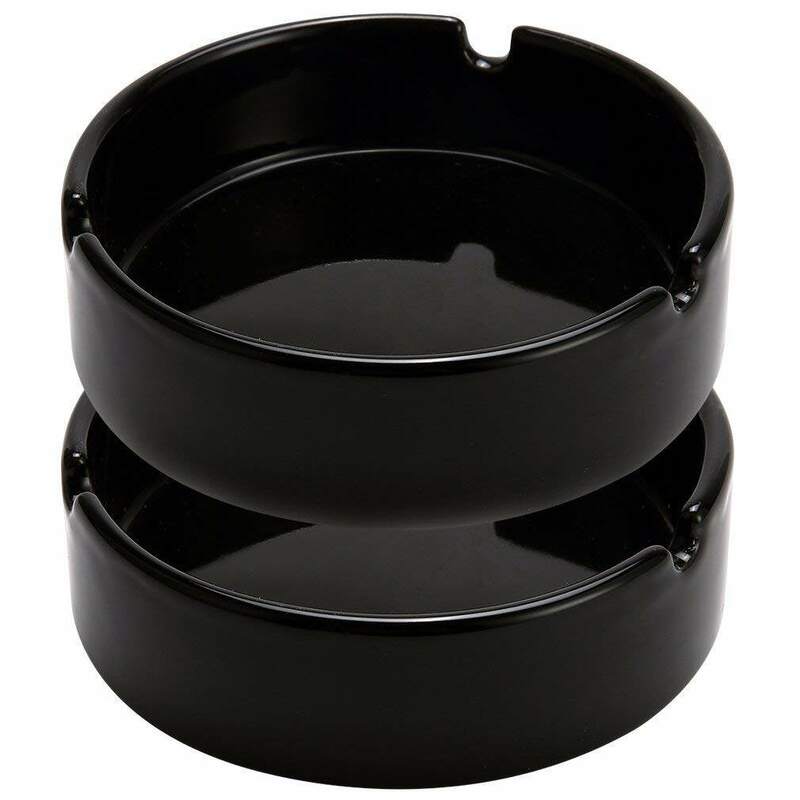 Teagas Black Outdoor Ashtray has a glossy ceramic body. 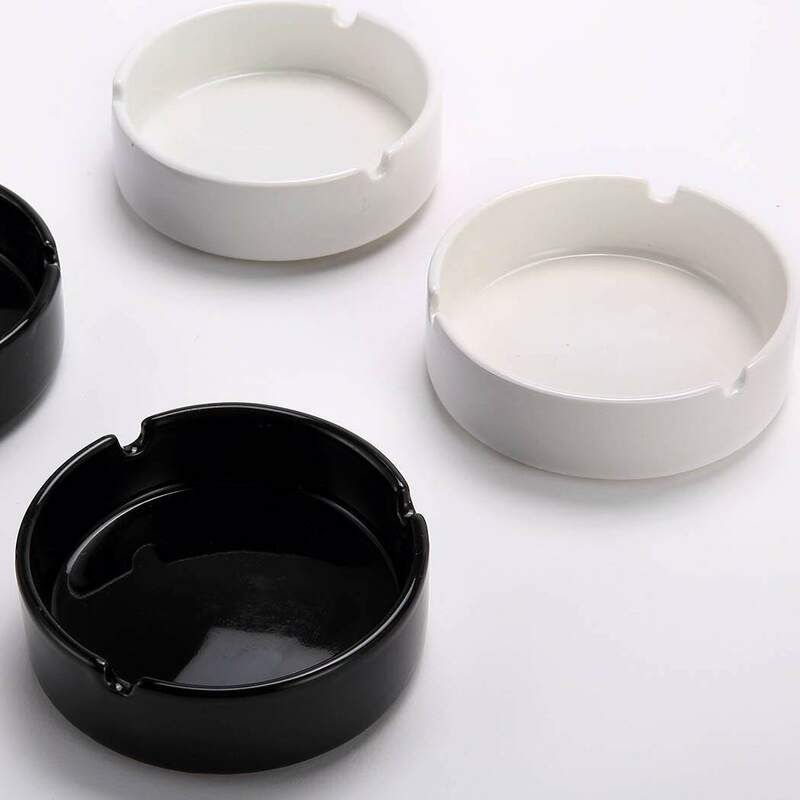 Simple style but Elegant, also suitable for indoor use. 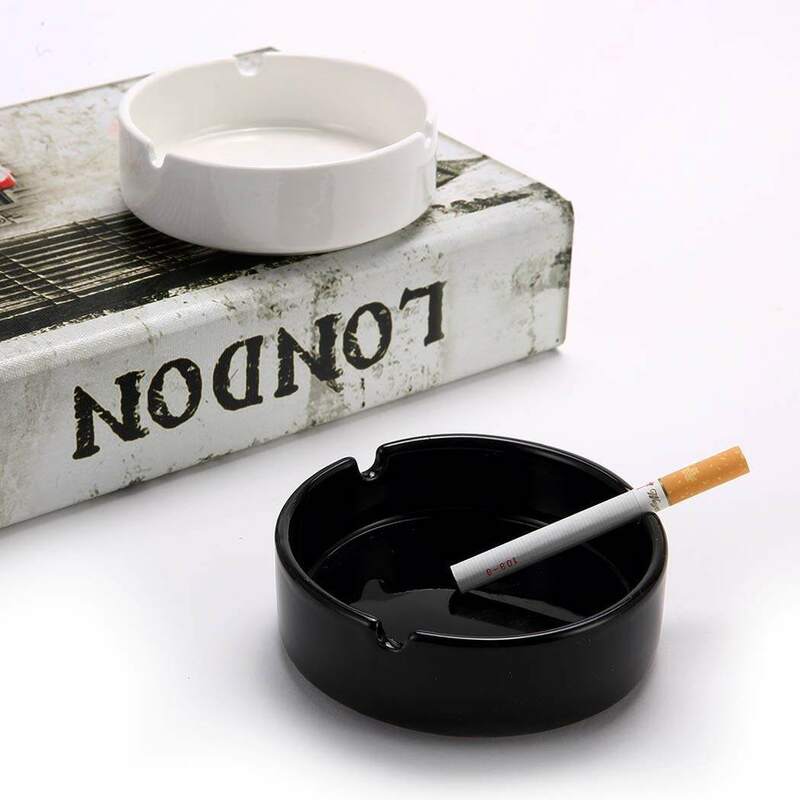 Three Cigarette holders for smoking convenience, keep your desktop clean. Nice Non-slip Bottom Design. Easy to clean and maintain. Nice additional decoration in house, garden, office, hotel, restaurant, etc. 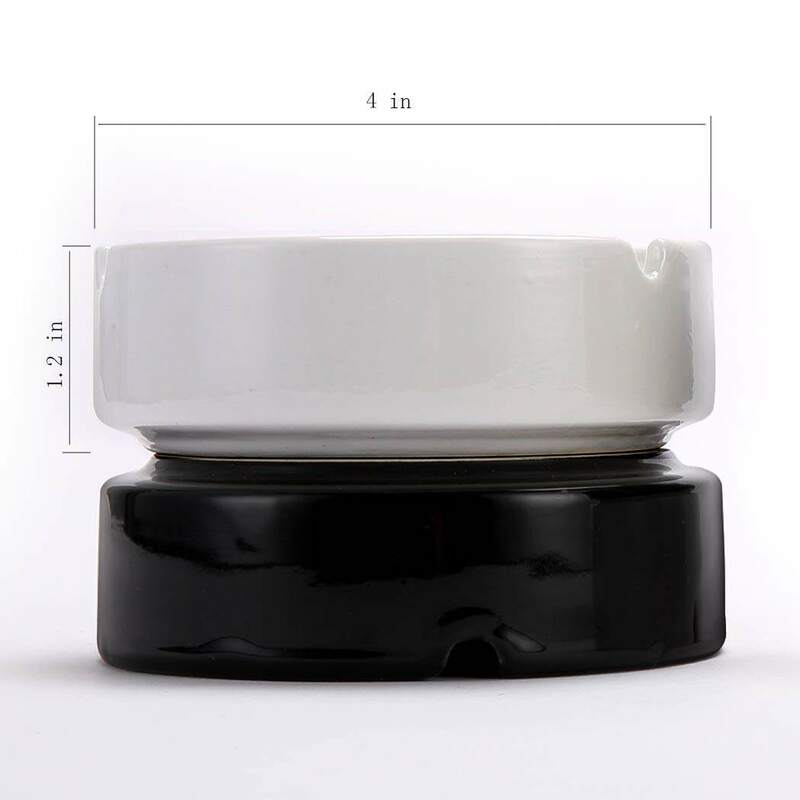 Now click "Add-to-Cart", you will get it in a safe box and on time. More questions, please kindly let us know. Thank you.